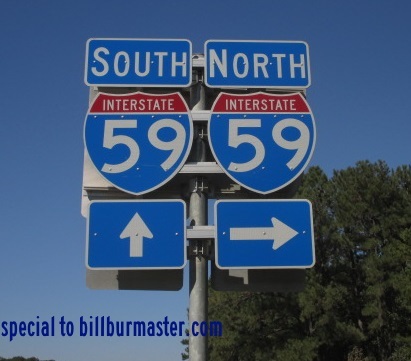 Interstate 59 is a north-south highway in Southern Louisiana. It runs from the Louisiana/Mississippi State Line, near Picayune, to Interstate 10/12, near Slidell. This highway is about 11 miles in length. While in the State of Louisiana, I-59 is multi-plexed. ...U.S. Rt. 11, from near Slidell to the Louisiana/Mississippi State Line. Interstate 59 crosses the following interstate in Louisiana. There are no branches of I-59 in Louisiana. 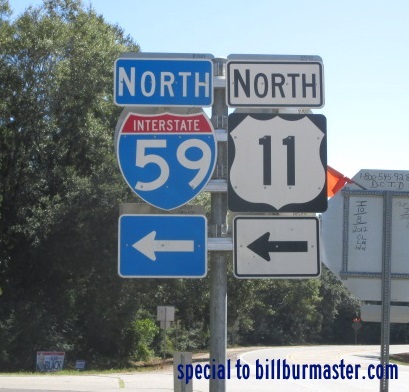 A guide marker for I-59/U.S. Rt. 11. 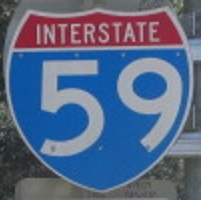 A guide marker for I-59.